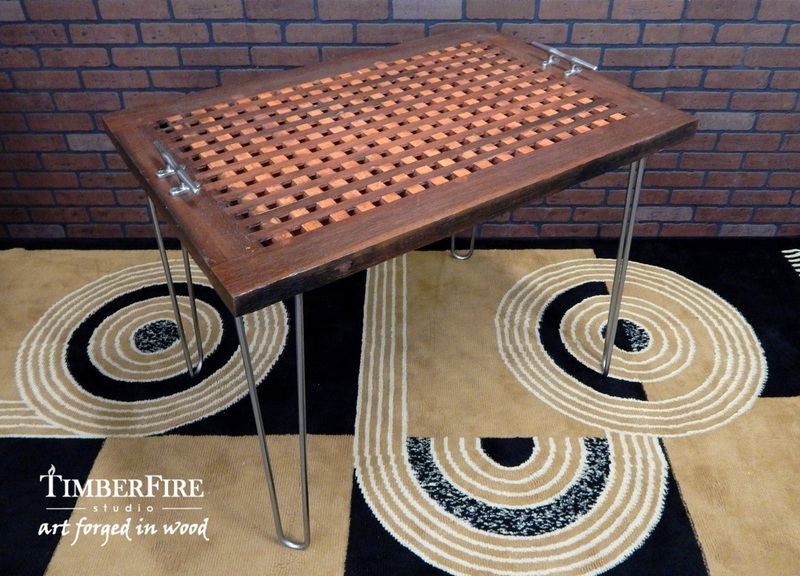 This nautical table was designed and built in our studio and features an authentic ship grate that was recovered from a decommissioned ocean-going freighter. 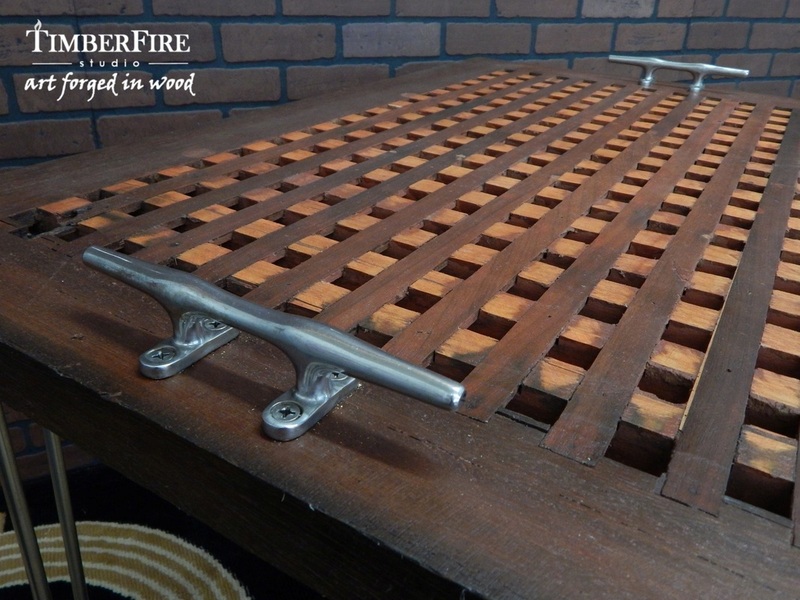 The ship grate was constructed of contrasting Mahogany and Teak to survive countless voyages of maritime service. We clear coated it with lacquer to preserve all the distinctive character for years to come. Genuine stainless steel hairpin legs are custom made in the USA and exude a modern vibe. 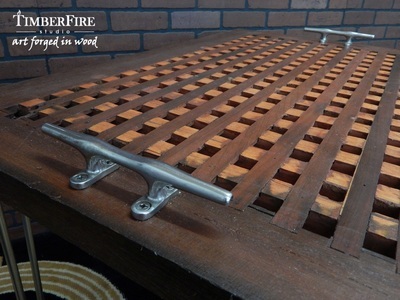 Salvaged dock cleats are also stainless steel and provide the crowning touch of originality to this seafaring creation.